The internet has made it a whole lot easier to find anything you want. As the web becomes more sophisticated, so do our choices in finding jobs, travel, banking and goods and services. The same goes for housing, too. In fact, with all the choices out there, scouring the web for home prices, mortgage rates and anything else real estate can actually make for an arduous and overwhelming search if you’re not looking in the right place. The best real estate websites — Zillow.com, Trulia.com and Realtor.com — are easily in the housing top 10 (if not the top 3). But how do they stack up against each other? Is one of them the winner? The one-stop-shopping real estate site? We took a good look at each to see what’s included, what’s excluded and what’s unique about these innovative sites and their many features. Zillow was founded by the people behind Expedia, so it’s no surprise that the diversity of choices in the travel website shows its influence in Zillow’s layout. And since it partnered up last year with Yahoo! Real Estate, there’s a lot of Yahoo! Maps in Zillow’s own home finder map page, and that’s where Zillow really makes its best impression. Say you’d like to find a home in Miami’s Coconut Grove area, but you’re not sure exactly where, or what the average home price is. By typing in the zip code, the site zooms in on the region, pinning each available home for sale to the map and its asking price. Scroll over each property and find out a more detailed explanation, from photos, price, square footage, time the house has been on the market — even when the property was built. Zillow boasts over 100 million listed properties, so there are plenty to go around here. With this function, you’d be hard pressed to find a more precise virtual footprint of a specific housing market anywhere else on the web. For honing in on mortgage rates, Zillow’s page is pretty standard, with current interest rates on FRMs and ARMs listed with their supporting bank or credit union. Fairly simple, white-paper stuff, but what raises it above standard is the advanced search function that allows you to enter your estimated purchase price, down payment and even credit score to find the mortgage rates you’re most likely to qualify for. This is not without expert advice, which can be found under the “Advice” section for realtor expertise and FAQs. The “Zestimate.” Zillow’s estimate tool to compare home prices, their costs and other amenities and terms. Local info. Future residents of Charleston, S.C. will want to know more about the city than simple real estate prices. Zillow provides info on local demographics, school districts and general info. “Dueling digs.” A photo contest comprising real pictures of rooms in homes across the country, where you can get your own home improvement ideas. Trulia’s more streamlined approach gets a big boost in the visuals department. Trulia is big on providing lots of interior and exterior photos of its properties, and excels in the slideshow function, which leaves no room unturned. In higher priced markets, like these captures below from a property in New York City, a prospective buyer can see every detail of what they’re browsing. 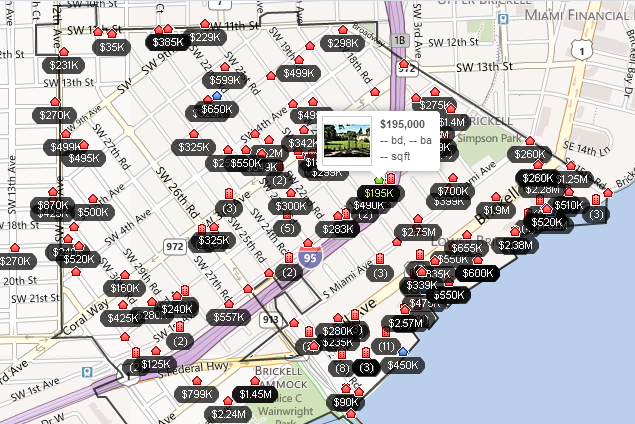 Where Zillow has a nifty map system for finding a home, Trulia duplicates in its “Market Trends” section. Research Dallas, Texas on this portion of the site and you can find homes for sale and their median prices, a standard feature. But add in specifics like schools by zip code, or the crime rate, and you’ve got a comprehensive look at the neighborhood you’re eyeing. Safety isn’t often emphasized enough on websites like these; on Trulia’s, crime rates are mapped out not only by region, but color coded according to severity. It can prevent future homeowners from regrettably moving into the wrong area. Another cool feature on Trulia is the “Advice” section. Maybe you’re wondering about opening and closing costs. Or different types of paint finish for your master bedroom. Maybe you’re worried about buyer’s remorse. And do you really need a boat when buying a house in an island locale? It’s a neat personalized section where no question is too common or too obscure. 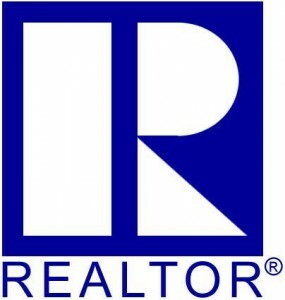 Realtor.com is the official homepage of the National Association of Realtors, which has been around for over 104 years! Without the NAR, there’d probably still be an internet, but most likely, no Zillows or Trulias, so Realtor.com has one up on those sites for seniority on the real estate market. Realtor isn’t without its impressive interactivity. The site looks to have hooked up with Move.com and HomeAdvisor.com; the former, for super-neat additions like a detailed moving calendar (which can put any smartphone app to shame), and the latter, home and garden tips for after you’ve bought and moved in to your new digs. It’s hard to pick an undisputed winner since none of the sites are really competing against each other. If consumers look at each one as a different, valuable resource, with something unique to take away, then all three are recommended for different reasons. Zillow’s strengths are in scrutinizing and mapping out available homes in any given market, their costs and other details. With quirky additions like the Zestimate, there’s little guesswork involved for the consumer because it’s all so precise. Trulia excels in providing families with ancillary info like neighborhood demographics, school info and criminal activity. The site also has a very user-friendly mortgage search function, too, but that extra info is needed — and appreciated — since it’s all part of the home search process. Realtor is the benchmark for all things real estate-related and works best if you’re looking to crunch hard numbers on mortgages or loan-to-value ratios, yet, at the same time, find info on average home values in Poughkeepsie and seasonal gardening tips. In the end, if you purchased a new home and used each of these sites for reference, then they win together as a trio of the best real estate websites.